I gave a version of this essay as a talk at a philosophy & religion conference in Kolkata, India, August 2002. Re-reading some literary criticism I had published 20 years earlier in the Virginia Quarterly, I sought to apply new ideas about Indian novelist Raja Rao to crucial issues of politics and multiculturalism then brewing in India. My fascination with India began in my early teens just a few years before the Beatles made it fashionable. The Civil Rights movement had drawn our attention to Gandhi, and I also loved Tagore. One of the first books I bought just for myself in college was the Tagore Reader, for which I paid $1.50 at Moe’s, the most famous used bookstore in Berkeley, California. But my deepest engagement with India came in the early 70′s when I began reading the novels of Raja Rao, one of India’s greatest writers. Today I want to re-read him, to re-see him in the light of different concerns. This paper works with a relatively small body of material and has modest internal aims, but its larger purpose is to call scholars and practitioners of religion and philosophy, and the arts and humanities in general, to find as many ways as possible to re-vision and re-articulate the concept of purity to prevent what amounts to the hijacking of religion and philosophy for extremist, socio-political ends. As matters stand now, the concept of purity seems to be one of the major components in religion and philosophy that attracts extremists, produces extremism, and makes us prone to various forms of violence in the name of the sacred. These ideas have been well covered by such philosophers as Rene Girard in books like Violence and the Sacred. 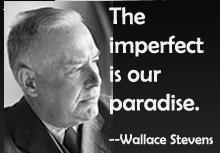 “At the heart of Western philosophical thought,” writes Robert Switzer, “…one finds a profound desire to reject, or be purified from, the flesh.” And even when a political ideology seeks to supersede, even crush, religion, it often borrows conceptual and rhetorical devices of purity from religion to justify horrific means towards inhumane, “pure” ends. The Khmer Rouge’s “Communism” in Cambodia, Milosevic’s ethnic cleansing in Kosavo, Hitler’s Aryan fantasies—these are only a few of the monumental tragedies of history driven by various concepts of purity. Today we have battles in the West Bank, in Gujarat, in Belfast, and what is often casted as a titanic East-West clash surrounding the events of September 11th. I believe one necessary thing, of many necessary things, to help stop this violence is to move away from the concept of purity as total purity and even towards a kind of “impure” religion and philosophy which features a more completely conceived interconnection between pure and impure. 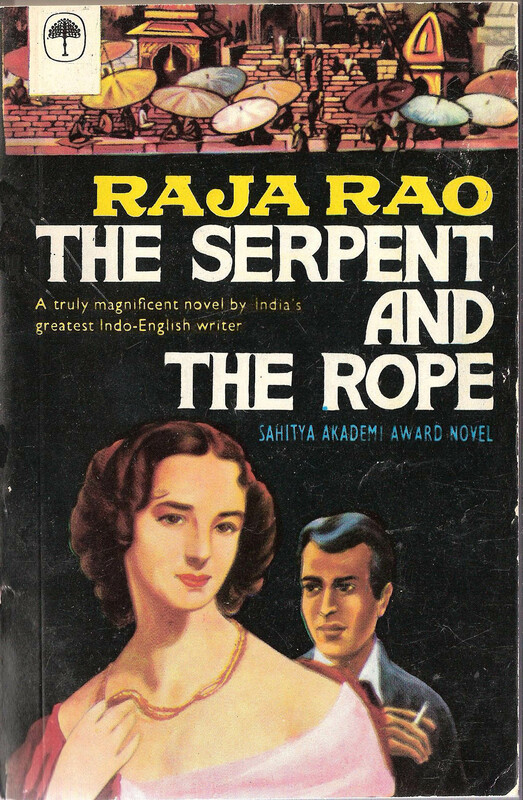 I will use a re-reading of Raja Rao as a metaphor to suggest what such an interconnection might be. …English is not really an alien language to us. It is the language or our intellectual make-up–like Sanskrit or Persian was before–but not our emotional make-up…We cannot write like the English. We should not. We cannot write only as Indians. We have grown to look at the large world as a part of us. Our method of expression therefore has to be a dialect which will someday prove to be as distinctive and colorful as the Irish or American…. In most religions “Giving up the world” is code for purity. Vedantin recognize three stages in giving up the world: Faith, Knowledge, and Realization. I initially saw Raja Rao’s major works, three remarkable novels, tracing a trajectory of increasing purity through these stages and leading towards ultimate enlightenment. The first novel, Kanthapura (1937) could be said to center on Faith in the mythos of India. Set during the Indian Revolution at about the time Gandhi made his salt marches, its protagonist, a young Brahmin named Moorthy, returns to his village (Kanthapura) to radicalize it. At one point he reacts to the violence of the Revolution by fasting in the temple, thinking that if he had been full of love—ahimsa—the violence accompanying a demonstration he led against the British would not have occurred. “That was not your fault, Moorthy!” says the character Rangamma. He replies, “The fault of others…is the fruit of one’s own disharmony.” Moorthy seeks purity. Attempting to give up the world, he slips “back into the foldless sheath of the soul” and, falling prostrate in the temple, chants Sankara’s “Sivoham, Sivoham. I am Siva. I am Siva. Siva I am.” The second novel, The Serpent and the Rope (1960), could be said to center on Knowledge. The novel tells the story of the breakup of a marriage between Rama, a Brahmin, and Madeleine, a Westerner who teaches history. These two characters stand for India and the West and the incompatibility of merging these two world views, especially concerning the nature of history and the relationship between the real and unreal, the root duality driving the book. Rama says, “To integrate India into history—is like trying to marry Madeleine. It may be sincere, but it is not history. History, if anything, is the acceptance of human sincerity. But Truth transcends sincerity; Truth is in sincerity and in insincerity—beyond both. And that again is India.” The couple have a child, whom Madeleine considers naming Krishna Ulysses, but under the strain of a collapsing marriage and the clash of world views she realizes how absurd this is. The child is named Pierrot, and, like their first, dies within weeks. These and other deaths are among the many burdens of the novel, which might be a short, touching, perhaps sentimental story if not for the prodigious volume of philosophy swelling the book to more than twice the length of Kanthapura. It is as if Rama cannot escape the endless locutions of reason symbolized by his attempts to stay with Madeleine. He is desperate to break through into pure, mystical Realization. In the end, however, feeling increasingly uneasy about this goal, he knows he needs a guru. In the next novel, one shows up. This entry was posted in Faith, Social Change, World Writers and tagged against purity, Kathapura, multiculturalism in India, purity, Raja Rao, religion and violence, Tagore, The Serpent and the Rope, Vedanta, Wallace Stevens, writing style in "Third World". Bookmark the permalink.